This modern rich cream with an oligopeptide-system, aloe vera, ginkgo biloba, and vitamin A+C is exclusively designed for dehydrated and poorly circulated skin. Can be used as night cream or, if necessary, as 24 h cream. 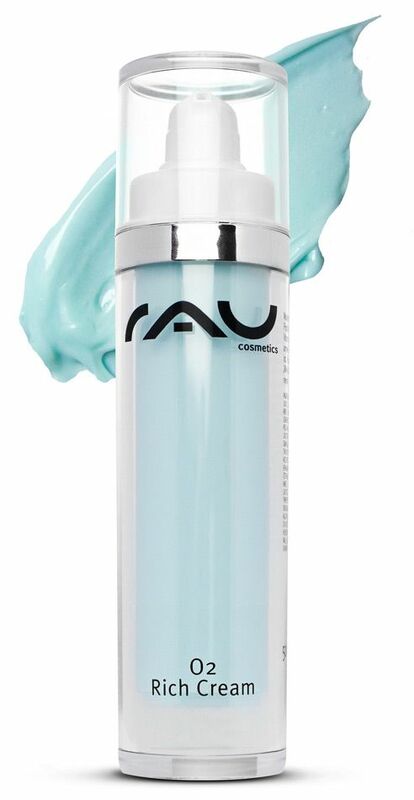 With our extremely rich and firming “RAU O2 Rich Cream“ you will receive optimum care! This product is a very rich in active ingredients, modern cream that has been specially designed for dehydrated or skin with poor circulation. Like all products from our O2-series this face cream supports the oxygen supply to the skin and is therefore especially suitable for low-oxygen, pale skin and smoker's skin. It has also been proven to skin in need of regeneration. High-quality ingredients such as Aloe Vera and Ginkgo make the skin look firmer, while various radical scavengers provide optimal protection of your skin from harmful influences and thus protect them from further skin damage. Regular use enhances increase of the oxygen supply, intensive moisturizing of your skin and blood circulation stimulation. The result is a refined, wonderfully soft, well-groomed skin and a lessening any feelings of tension. This result can be enhanced by using our ”RAU O2 Mask” and other products in our O2-series. Application: For dry skin apply in the morning and in the evening to cleansed skin. For less needy skin apply only in the evening to cleansed skin. 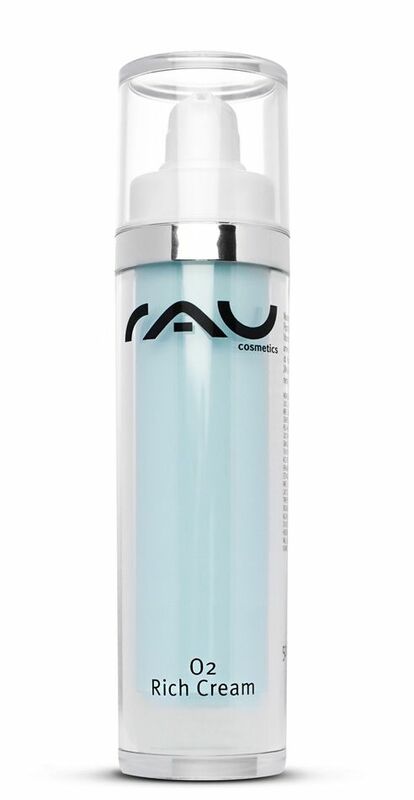 Related links to "RAU O2 Rich Cream 50 ml"
Customer evaluation for "RAU O2 Rich Cream 50 ml"